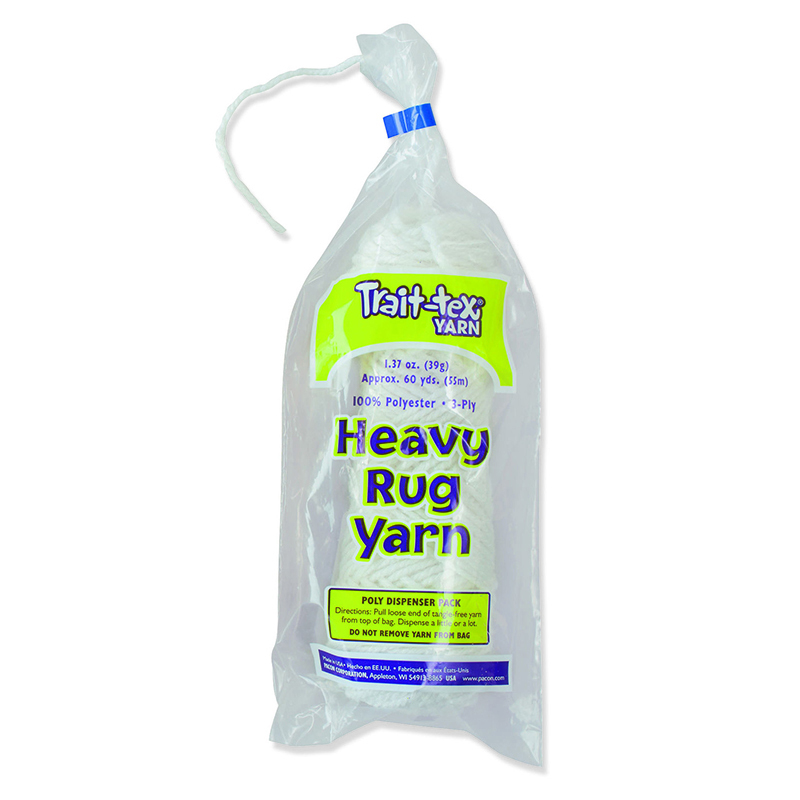 Heavy Rug Yarn is 3-ply, 100% polyester non-allergenic fiber, wound into 1.37 ounce (60 yards) pull skeins and individually bagged in an easy-to-use poly-bag dispenser. The yarn pulls easily from the center of the skein without tangling. 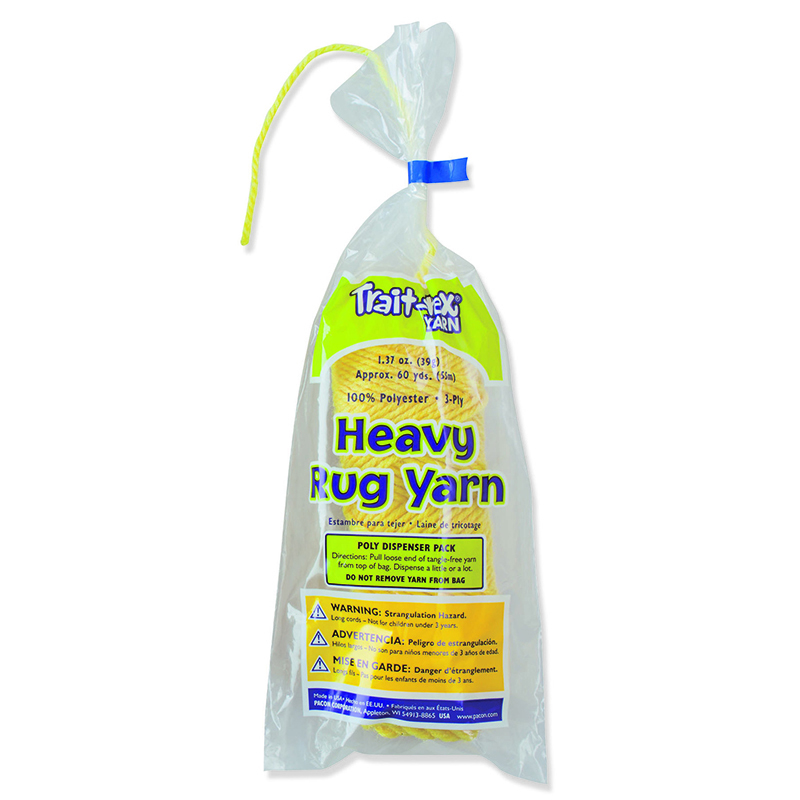 Sold as 6 skeins for a total of 360 yards of yarn. 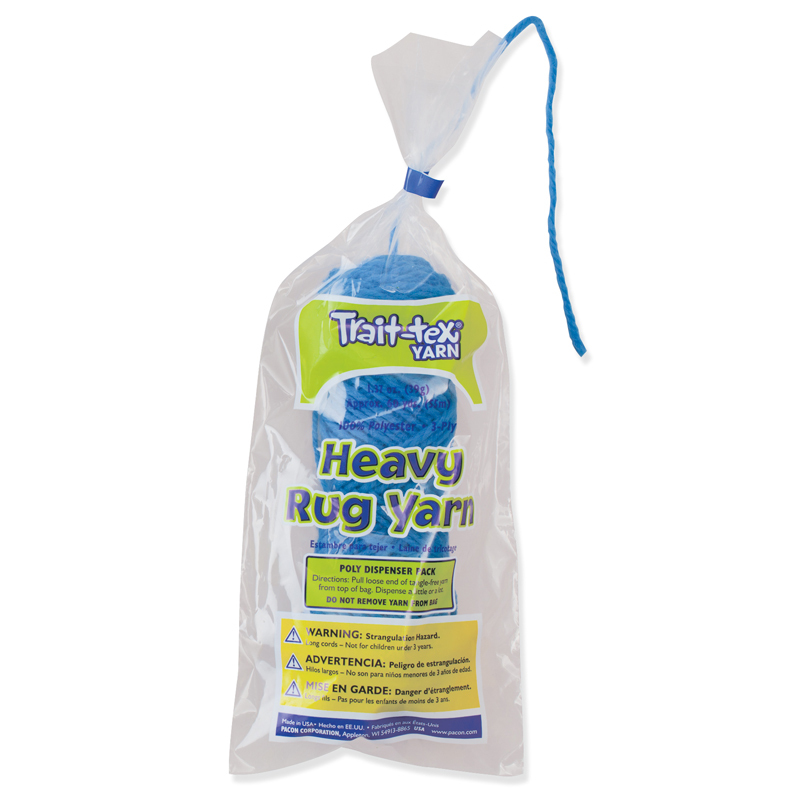 The (6 Ea) Heavy Rug Yarn White 60yds can be found in our Yarn product category within the Arts & Crafts.